To most people, Maj. John Rexford is a retired Marine living in the Catskill Mountains of New York on disability. Even John’s girlfriend, Maggie, has no idea he’s really a CIA spook recruited in Afghanistan and assigned to kill enemies on US soil.With exemplary skills in hand-to-hand combat and small arms weaponry, John Rexford completes a string of successful kills, eliminating terrorists and their money supply in the New York metropolitan area. With the FBI hot on his trail for these illegal assassinations, John must find a way to stop an international team of explosives experts from destroying New York City’s aqueducts, killing thousands with chlorine gas, and burning the five boroughs to the ground. During his mission, John runs afoul of a high-level underworld assassin who uses his mastery of yoga to silently strangle his victims. 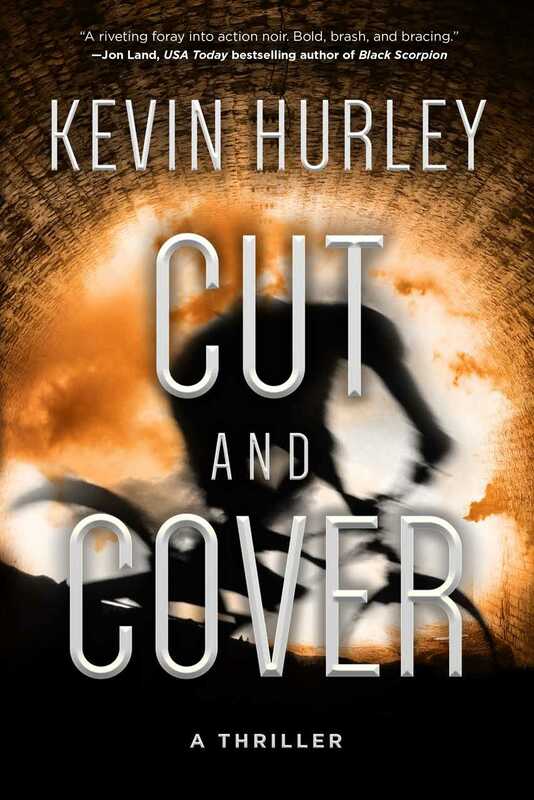 When the assassin discovers John’s one liability—his girlfriend, Maggie—John will have to make a terrible choice between her life and the capture of her abductor. This tightly scripted story begins with a terrorist plot and gradually turns into a clash between two professional killers, with the lives of both John Rexford and Maggie hanging in the balance. As the characters collide with deadly force on the streets of New York in Cut and Cover, the line between right and wrong blurs, long-standing loyalties are questioned, and no one is really sure, what the final outcome will be. Kevin Hurley draws his inspiration from a family history of military service from the Korean War to present-day Afghanistan, as well as from his martial arts interests. His professional career includes consulting for private sector corporations and government agencies, and he is a board-certified entomologist specializing in EPA regulations. He lives in the Catskill Mountains in upstate New York where he is an avid cyclist and practitioner of Yang-style tai chi chuan. "Cut and Cover grabs you and doesn't let go. "—USA Today bestselling author Alyson Gaylin.